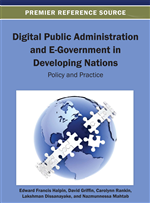 This chapter reviews the state of e-government development and associated changes to service delivery in Bangladesh. Using the “stage model” as a frame of reference, the authors show the progresses Bangladesh has made in terms of informational, interactive, transactional, and integrated services. They argue that although Bangladesh's overall progress is still modest for it allows only limited advanced levels of services, there are encouraging trends underway. In its conclusion, the chapter highlights some of the impediments and challenges that hamper e-government initiatives undermining their potentials and benefits in the country. While public sector reform is nothing new, the advent of information and communication technology (ICT) has marked the beginning of a new phase of reform which promises to bring about radical improvements in governmental operations and services. Widely known as e-government, the new reform has acquired a global character with both developed and developing countries embracing it. At its simplest, it entails the application of ICT in the public sector. While there are various interpretations of e-government in this chapter we use the term to mean the governmental system that delivers public services by using ITC as a tool. It is more than mere presence of governmental websites on the Internet; it involves the transaction and information exchange between government, citizens and businesses with the help of ICT. Though it seeks to enhance the efficiency of government, at the heart of e-government is the desire to increase the availability of governmental information and services by making them accessible to citizens and other users at all times. Bekkers captures it all when he says that e-government is the ‘use of ICT to design new or redesign existing information, communication and transaction relationships between governments and citizens, companies and non-governmental organisations as well as between different government organisations and layers in order to achieve specific goals” (Bekkers, 2013: 253). Relevant goals, according to him, include the improvement of the access to government, the enhancement of the quality and efficiency of public service delivery processes, the improvement of internal and external efficiency, the support of public and political accountability, the support of the political participation of citizens and the strengthening of inter-organisational cooperation. Indeed, these are some of the areas where e-government can deliver significant benefits. Not surprisingly, e-government has enjoyed massive popularity fuelled by the belief that it can enhance service delivery and produce significant improvements in various domains. A UN report asserts that e-government can result in better delivery of services to citizens, improved interactions with businesses and industry, citizen’s empowerment through greater access to information and/or efficient governmental management (UN, 2003). It is also believed to be associated with a range of other values. Foremost among them are savings in time and efforts, operational efficiency, convenience and user-friendliness. It is seen as a mechanism that can transform the outmoded bureaucracy, give citizens and businesses greater access to governmental services at the same time help reduce paperwork, and eventually save governmental resources (Backus, 2001, Lam, 2005). Online availability of services also means that the users will benefit from 24x7x365 access to government information and services. Apart from economic and administrative benefits as above, e-government is desirable for it fosters good governance in the society: it does so by promoting transparency in governmental operations, helping combat corruption, improving governmental accountability and responsiveness (West, 2004).